This list is updated daily! Please call 310-726-3731 for more information! 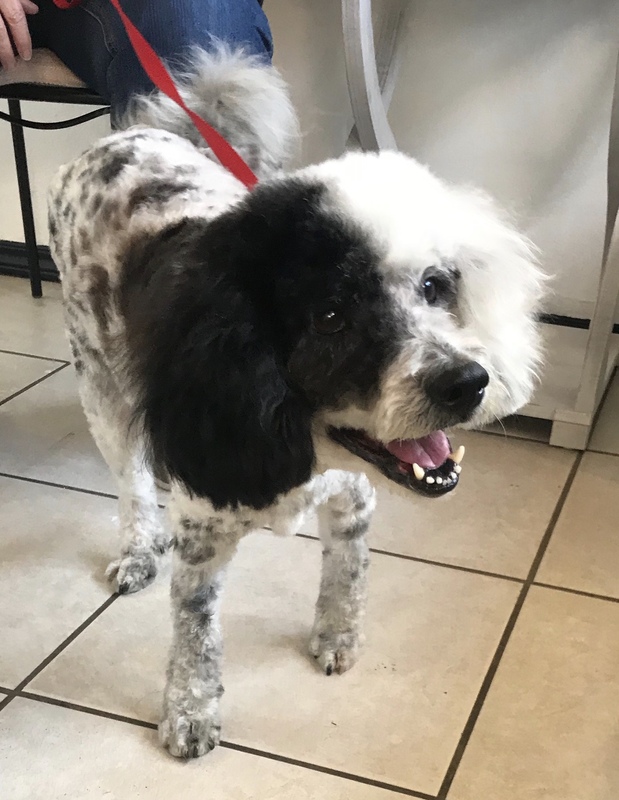 2 years Black and white Parti Poodle mix Beneath Chappy’s shaggy coat is a handsome Parti Poodle who will surely turn heads wherever he goes. 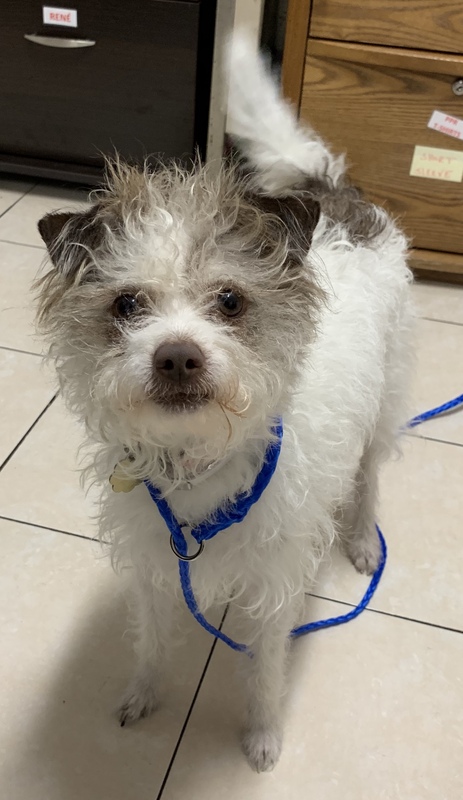 Found wandering the streets, Chappy is ready to begin living the life befitting such a regal fellow....a life filled with plush beds, haute cuisine, and unending love and devotion. In return, he will be your faithful forever companion. In spite of his unknown beginnings, Chappy harbors no grudges. He greets everyone, human and dog alike, as a true gentleman would. He weighs 33 pounds and is neutered, microchipped, and current on all vaccines. Soon he will be groomed and freed of his many dreadlocks. Who will be the lucky person soon seen strolling along with this handsome fellow? 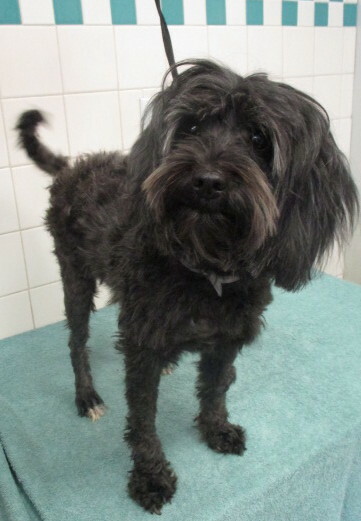 4 years Black with white Havanese/Maltese mix When sweet Minka’s coat grows out, she will look the way she feels...like a million bucks. One would never know that Minka just endured a lengthy shelter stay, for she is confident, happy, and comfortable with everyone. In fact, meeting new people is one of her favorite pastimes. Hoping that one of these people will become her forever person, she waits patiently with our other dogs, enjoying her time in the play yard and on walks with volunteers. She has, though, been known to steal a lap or a kiss at every opportunity! Minka weighs 15 pounds and is spayed, microchipped, and current on all vaccines. So hurry. Don’t delay. Our million dollar girl won’t be here long! 1 year Red and white Terrific Terrier Benjamin seemed far too formal for this fun-loving year-old pup, so we call him Benny. From the moment you meet Benny, you’ll notice his twinkling eyes and easy smile, both of which belie his whimsical nature. He loves long walks and even longer cuddles. There is not a person or dog Benny does not like, so he can accompany you anywhere. Benny weighs 30 pounds and is neutered, microchipped, and current on all vaccines. He’s looking for a family who will play with him, run with him, and snuggle with when the day is done. Might that be you? 1 year Tan Terrier mix To say that Bean is adorable is an understatement. 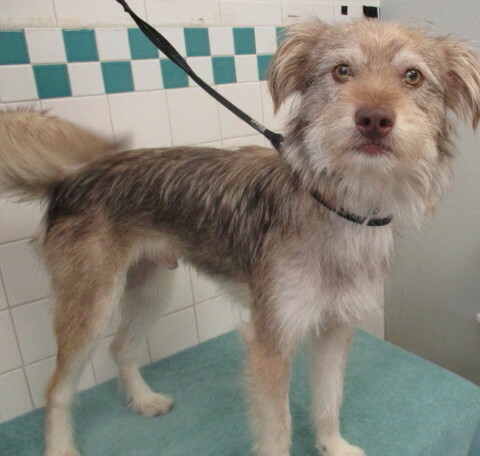 With his scruffy coat and big ears, he is by far one of the cutest little fellas we’ve seen. Inquisitive and fun-loving, Bean was found wandering the streets and is now ready to settle down and begin anew. Knowing he will never again be lost, Bean dreams of a life in the security of his own home. Long walks, loving hugs, cozy beds, tasty meals, and precious hours in the company of his new forever best friend. All this and more is waiting for this sweet boy. 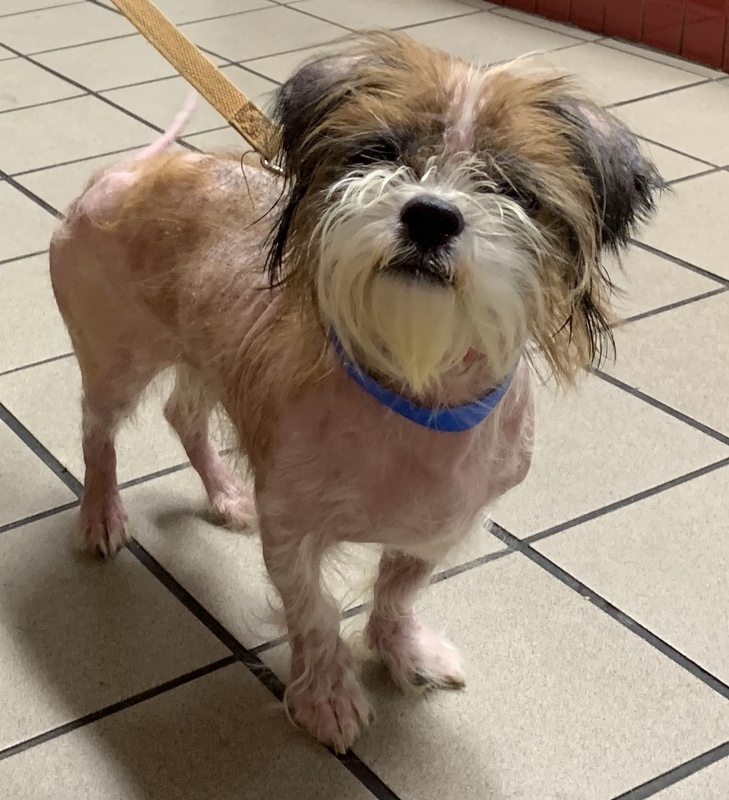 Bean weighs 9 pounds and will be vaccinated, neutered, and microchipped as part of his adoption. So, who is ready to make this perfect pup’s dreams come true? 10 months Brown, tan, white Wheaton mix Wiley may not follow in the footsteps of Wiley Post, the first air pilot to circumnavigate the world, but he is remarkable in his own right. Wiley is soft coated and sweetly handsome, with stunning gold eyes, and a heart of gold to match. At 20 pounds, he is the perfect size for both long walks and nighttime snuggles. 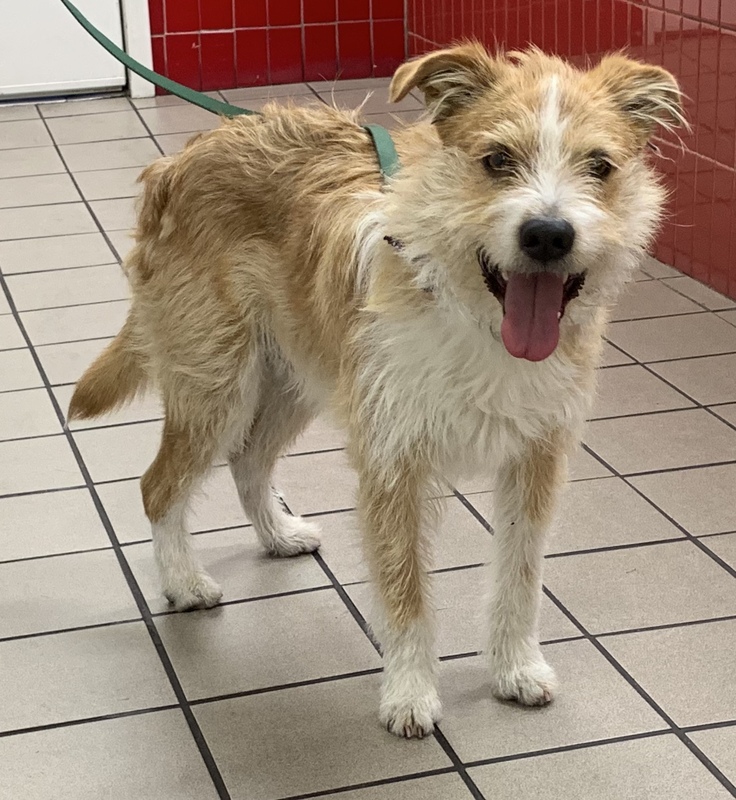 Wiley is hoping for an active family who will teach him, play with him, run with him, and most of all, give him everything a puppy needs to flourish. He sweetly offers hugs to everyone he meets, young and old. Wiley is neutered, microchipped, and will receive one more set of puppy vaccines in a month. So if joy is something you want, look no further. Wiley cannot wait to share his with you! 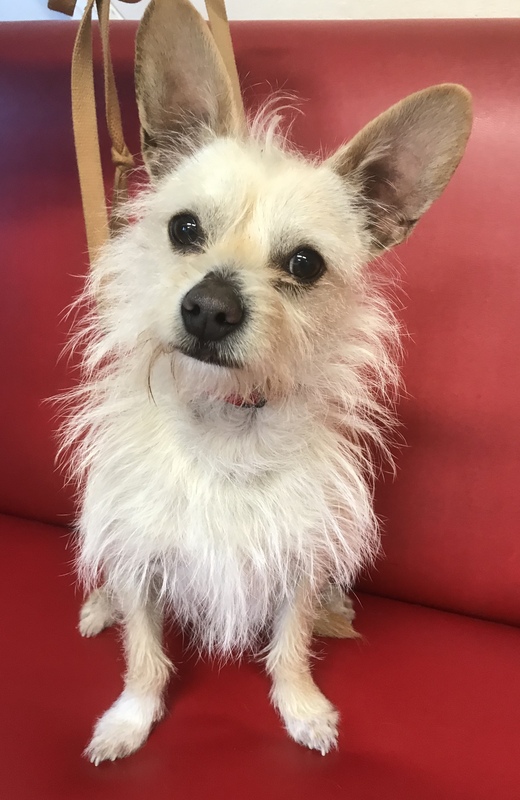 we always have a variety of small dogs looking for a home! If you are interested in adopting one of our animals, please print the following documents. 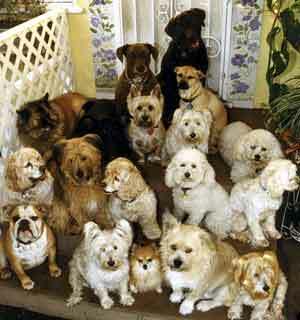 Once filled out completely, fax them to Perfect Pet Rescue at 310-550-0121. Spay and neuter assistance available. Volunteers needed for walking dogs!